Leizhan hi-tech D type hydrapulper can be used to pulp various raw materials, including virgin pulp, AOCC, etc. 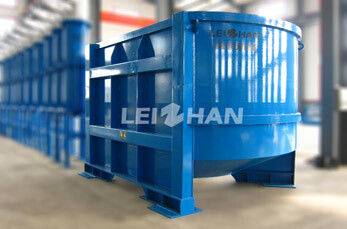 Leizhan high performance D type hydrapulper has strong pulp ability, short time and convenient maintaining. Vulnerable parts of D type hydrapulper contains: Shaft sleeve, Bearings, Cutter blade, Sieve plate and Triangle belt. Leizhan offer various vulnerable parts for fast delivery to paper plants. 1. To lubricate the bearing regularly, inject ZGM-2 once every two weeks, and replace the bearing once a year. 2. Replace the sieve plate: With the wear of the sieve plate and increase of the hole diameter of the sieve mesh, the sieve plate need to be replaced, withdraw the top cover and rotor and remove fastening bolt of the sieve plate for replacing it. 3. Replace Copper bush: First, the top cover, rotor need to be removed. Then, remove the base plate and dismantling the old copper bush. And heat the new copper bush, to place it in a suitable place connect with the base plate of rotor.